Xolve did not end up on the podium at this year's CleanTech Open but making the finals was a huge accomplishment for John and all the good folks at Xolve. Perhaps even better news than winning this competition, Xolve was just certified by the Wisconsin Dept. of Commerce as a 'Qualified New Business Venture'. "The company's certification by Commerce makes investors in Xolve, Inc. eligible for a 25-percent tax credit on the amount they invest in the company." Congratulation to John and everyone at Xolve on a great effort and for your good work as Wisconsin business rock stars! Xolve, Inc. certified as Qualified New Business Venture. WI Dept. of Commerce press release 11/17/10. 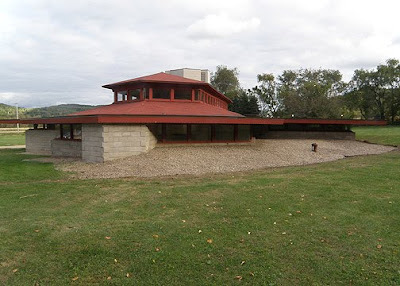 Photo is of the Frank Lloyd Wright designed Wyoming Valley School, in the Town of Wyoming, in beautiful Iowa County, Wisconsin.